After adding 150,000 new users to 350,000 registered traders since September 2015, mobile equity trading game broker BUX has announced that it have closed $6.9 million in new financing. Led by Berlin/Munich based Holtzbrinck Ventures, the funding round is the third closed by BUX and its latest since raising $1.9 million from VC Initial Capital in September 2015. Like in its previous round, BUX expects to use the current funds to help it grow across Europe. According to BUX, the firm has had success attracting a new audience of traders, stating: “60% of ‘BUXsters’ are younger than 34 years old, and 78% of them have little to no earlier trading experience”. Altogether, since launching, at the end of 2014, €3 billion in total trade volume has been transacted on its mobile trading platform. 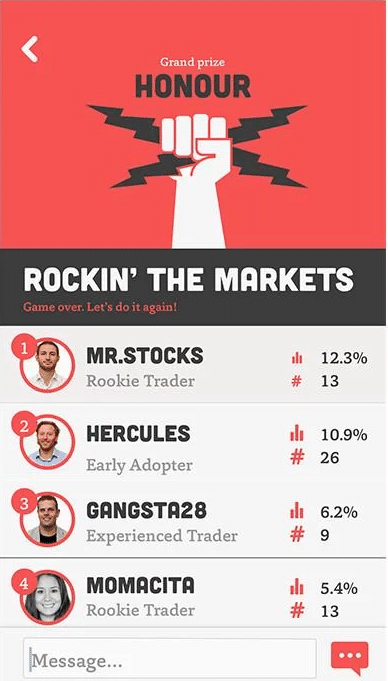 Offered as a game, BUX allows users to learn the market as well as battle against other users with both virtual and real funded accounts. Real account trading is based on using CFDs with BUX operating their brokerage operation within the licensing of FCA regulated ayonda markets.